My Macbook Pro and iPhone are central to virtually all my productive efforts. They are where I store my thoughts, track my progress, write, design, make music, and produce my work. Over the years I’ve gotten into the habit of condensing my toolset to the essentials. This is a list of those tools, in no particular order. These are the apps which I believe everyone can benefit from trying out, and those which I have had in my daily rotation for at least a year. I’ve tested them thoroughly and vouch for them all. At the bottom is a deprecated list of tools which I no longer use, along with an explanation. 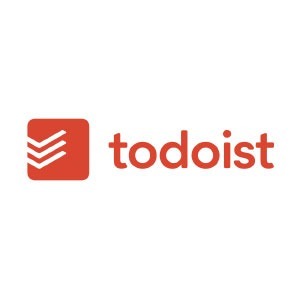 Todoist is one of the most popular apps for using lists to track things. A few years ago I read two books on this subject: Atul Gawande’s Checklist Manifesto and David Allen’s Getting Things Done. Both very convincingly made the same point: top performers track many small details with lists, which frees their minds to focus on what’s really important. I’ve tried a ton of todo list applications, on Mac and iPhone. Todoist has been my favorite by far, but Wunderlist and Apple’s own Reminders app are functional if you are only looking for basic functionality. Todoist, on the other hand, offers an insane amount of functionality and customization. Read either of the books mentioned above, sign up for a paid $29/year Todoist subscription (it’s worth it) and see how much effective you are. This app takes online websites and web apps (like Gmail) and transforms them into local apps on your Mac. For web apps which probably in all day, it’s handy to promote those to local apps for usability. Having an unmanageable gang of tabs at the top of your browser window is a situation you want to avoid, and Web2Desk helps with that. Also, it’s free. Some apps I’m using this for: Brain.fm, Airtable, Gmail. Make sure you download this from the correct website, by clicking the button below. Do not go to Web2Desk.com because that is a paid imposter. This app is 100% free. Qbserve makes it easy to track how you spend time on your Mac. It’s a small utility which runs locally, monitoring all of your activity and presenting it in the form of charts and stats. It’s a one-time $40 purchase but matches all of the important functionality of their more expensive, online only competitor RescueTime. I’ll admit, this kind of tracking is not interesting for everyone. But if you find yourself quickly losing track of time through distractions online, this is the best tool I’ve used to identify and address that type of situation. The app offers .csv and .json file data export, so you own your data, it is not locked into a proprietary system. For the last few years I have been working while listening to Spotify. What I found is that listening to music with lyrics is distracting, and listening to new music while working was also distracting, so my routine was to have the same songs playing on repeat (many others, like Matt Mullenweg, do this also). 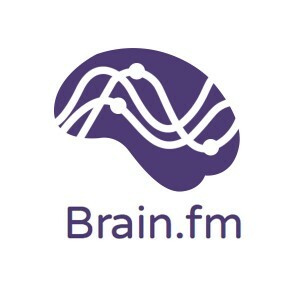 Late in 2015, I found something better: a productivity tool called brain.fm which generates “brainwave entrainment” audio to increase focus. The sound clips range from dark and ominous atmosphere, to waves crashing on a beach to what sounds like high intensity laser beams. Whether you’re working, relaxing, meditating or sleeping, they work. Read about the science here: Beginner’s Guide to Brainwave Training. In short: your brain responds to particular frequencies which can promote relaxation, focus or deep sleep. The science is based on electrical brain activity analyzed by an EEG (electroencephalograph; a brainwave sensor). I discovered this tool through AppSumo and signed up for a lifetime subscription. 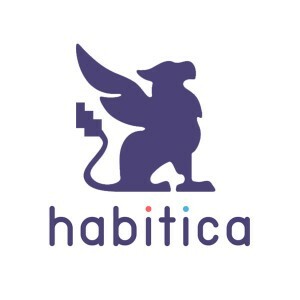 Habitica is a habit building and productivity app which treats your real life like a game. Modern games (especially online games, like World of Warcraft) use a number of psychological tricks to deeply motivate you to achieve specific objectives. Habitica uses these same psychological principles to motivate you to achieve things in your real life, from exercising everyday to eating healthy. It’s easy to dismiss Habitica as just a game. But you would be mistaken because it is much more than that. There is a wealth of scientific data behind the behavioral mechanics in Habitica, which are largely based on the theory of operant conditioning developed by behavioral psychologist B.F. Skinner. In simple terms, operant conditioning is a psychological principle which describes how people learn from their actions based on feedback they receive. As a bonus, there is an amazing community behind Habitica and it is free to use. I like it so much that I contributed to the project. If you use Habitica and it works for you, I encourage you to support development of the app by making a contribution. Creators of the app have published a wonderful article on the Behavioral Science Behind Habitica. I never want to lose important data, so I make sure to save all of my most important files within the Dropbox folder. Without me doing anything, everything is synced online and accessible from other devices (for me, iPhone and iPad). A few years ago I took some steps to max-out the storage capacity of my Dropbox account to 22gb. I haven’t had to pay a dime yet, but when it comes down to it, I won’t hesitate because Dropbox is an outstanding service. Really large files like high resolution images don’t get stored in Dropbox, they get backed up with Time Machine, which is built into Mac OS X.
I was a casual Evernote user for a few years before deeply understanding how to use it. It can be a complex beast and there is a learning curve, but it’s worth learning. It is like a digital Swiss army knife that can be used for so many things: document storage, to-do lists, reference images, file storage, and much more. I use it for all of these. There’s a Shared Notebook for Chengdu Living that I have shared with collaborators. Invite them to the notebook and they have access to all the notes within it, which is a huge amount of information: story ideas, podcast notes, site traffic reports, development milestones, feedback from readers, and more. I can access all of this information at any time, from any device. Between Evernote, Dropbox, and Time Machine I could throw my laptop into the ocean and not have a panic attack because everything is in the cloud. Alfred is a task launcher similar to Quicksilver or Spotlight (which is built into OS X) except far better. Why would you want to open apps and files with a keyboard instead of using your laptops trackpad? Because it’s so much faster. 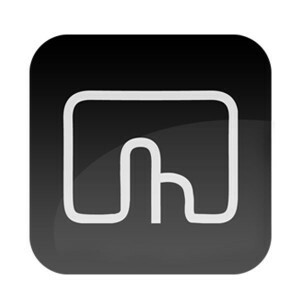 Navigating finder or opening apps using the trackpad feels like molasses after you get used to Alfred. Plus it can perform complex operations like activate my VPN, define words using OS X’s built-in dictionary, perform mathematical calculations, control Spotify, and much more. It keeps stats on usage, too. According to Alfred, I’ve activated it 34,282 times in the last 14 months (an average of 74.5 times per day). Totally indispensable. Global: four-finger tap to open Mission Control. Five-finger tap to open a new Finder window. Safari: three finder tap to middle-click (opens links in a new window). Three finger swipe down to close a tab, swipe up to open a new tab. My usage of Better Touch Tool is just the tip of the iceberg, and you can make it do much more. It sounds like a lot to remember at first, but once you get used to this system, it makes navigation on your laptop a lot faster. Note: in December 2015, the developer of announced that Better Touch Tool was going from free to a “Pay what you want” model. It is absolutely worth paying for. Pocket is an app which collects articles that you want to read. It puts them all into one place, formats them in an ideal way for reading, and let’s you consume the material you want to read without getting distracted. Here’s how I use Pocket. Everyday, I browse Reddit, Feedly, and Twitter to see what’s new. Everyday, I find around a dozen or more article that pique my interest. I add all of these to Pocket with a few taps and then read them all later in the day. What this effectively does is split article collection and consumption into two distinct processes. It makes both looking through news and reading news much faster and more enjoyable. I used Pocket so much in 2014 that I was ranked within the Top 1% of users of the service, reading over 2 million words, or the equivalent of 48 books. I never read articles when I find them anymore – I always save them for later with Pocket. I like to stay up late, and I’m often on my computer writing, researching, or creating something. F.Lux saves my eyes by automatically adjusting the display on my laptop so it doesn’t fatigue my eyes. Instead of white websites blinding me, they automatically dim to off-yellow which makes using my laptop after sunset far more comfortable. It helps you sleep faster as well, since bright lights at night disturb a natural hormonal process which is designed to make you feel sleepy at night. Staring at bright screens suppresses this natural process, which is why it’s so easy to stay up obscenely late if you’re staring at screens. Bright lights inhibit the release of Melatonin, which regulates sleep cycles, telling you it’s time to go to bed. 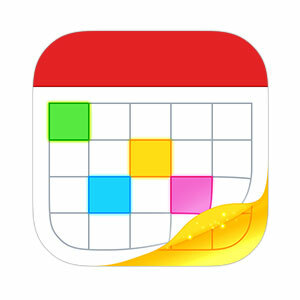 Fantastical is a calendar that you can communicate with like a person. I input “Dinner at Eli’s house tomorrow at 8pm” and it automatically parses this phrase and inputs it into my calendar. No selecting dates or times – inputting events takes no more than 5 seconds. And what I find is that when you can input events that quickly, the mental barriers associated with creating events begin to collapse. So you enter everything, which makes it much easier to stay on top of anything. Fantastical works with Alfred as well, so I can input events in about 3 seconds. I also have Fantastical installed on my iPhone which reminds me of events while I’m away from my computer. Both are indispensable. If you’re like most people, you use one password (or a variation of one password) for every online account you have. You might be consciously aware that this is an insecure practice, but how could you possible remember different passwords for each online account? You don’t remember them – 1Password does, and connects you to these services with a click or a tap, from your Mac, iPhone, or iPad. I was using a variation of a non-English word as a password for everything for years until I switched to 1Password. Now I generate unique passwords for each new account that I create and they all live inside the app. Here’s an example password generated by 1Password to give you an idea of how difficult these are to crack: 7NKCJXsblLVqPSL6fgrX. You don’t want to be inputting these by hand, so having 1Password on every device you use is essential. Password files are encrypted and automatically shared between devices with Dropbox. 1Password is not cheap. It is worth it, though. These are apps which I no longer use, along with an explanation of why. 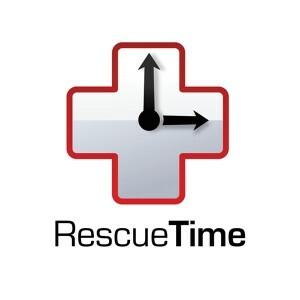 RescueTime is a time tracking utility which runs in the background on your computer. It tells you exactly where your time on the computer is going, which is valuable for productivity tracking and analysis. It’s a free utility but to really unlock its true capability you have to opt for a $50/year subscription. 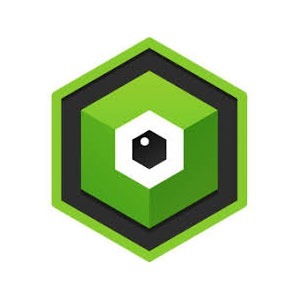 Why I stopped using it: I found what I consider to be a superior alternative – Qbserve, listed above – which costs less and is a small utility which runs locally, instead of in the cloud. I would recommend that over RescueTime. Epichrome is a desktop app which transforms any website into app that you can launch and close on your Mac. It’s intended for web apps which you access through the browser – the type of online apps that you check many times a day, like Gmail or Brain.fm. Instead of having these apps running in a browser tab, it’s often advantageous to be running them as independent apps instead. Why I stopped using it: Epichrome works great, but it is not as usable as an alternative which I switched to, called Web2Desk. If you know what Github is, Epichrome might be better for you. For everyone else, stick with Web2Desk because it’s much easier to use. I wrote a blog post about this iPhone app in 2014 when it was called Lift. Since then it’s added a for-pay coaching component, but it remains useful as a habit tracker, for now. The concept behind the app is incredibly simple: add habits you want to keep and mark them as completed each day as you go through them. Habits are created and stored online, shared with thousands of other users around the world as well as friends if you choose to include them. On his blog, Tim Ferriss said that Lift has gotten him to floss on a regular basis for the first time, and it’s had the exact same effect on me. This is an app that I’ve been using daily for well over a year now, and have no plans of stopping. Why I stopped using it: this app sadly devolved from having a singular, useful purpose into being a platform for life coaches. The entire message of the app changed from a tool to acknowledge and account for self-responsibility into a life coaching platform. I dropped it and switched to Productive, which is far superior. There’s a plethora of options for keeping lists: I know because I’ve tried them all. But the best of the bunch is Wunderlist, which allows you to keep multiple lists at once and have shared lists that you tackle with collaborators. Importantly, Wunderlist works on Mac and iPhone, so I can add or check off items no matter where I am or what I’m doing. You can even view lists made publicly available online. Let’s say you want to bake a cake: you browse for a list on Wunderlist and find a list of the ten ingredients you need to bake the cake, and you go a grocery store with that list. Or you want to watch the best horror movies of all time – there are public lists available for that, too. I keep running lists of things mentioned in conversation so I don’t forget them, like books and movies, as well as work-related and personal project tasks that are on my radar. Why I stopped using it: Since everything I use is within the Apple ecosystem, using Apple’s own Reminders app is more practical. One of the reasons why is because Siri integrates with Reminders so well. Saying things like “Reminds me to change the lightbulb when I get home” to Siri just works, and reminds me when I actually get home using location tracking. Third party task lists like Wunderlist are less efficient if you are already committed to the Apple ecosystem. Wunderlist is still a great tool, just not the perfect solution for me.